You're not imagining it. We're not only living in the age of the superstar Internet cat, but people are actually banking on this creative flowering as a real business opportunity. There's gold in them there cats! It's common to compare the Internet's star-making power to that of Hollywood. But perhaps a better comparison is Old Hollywood, a place where wild fortunes were conjured out of thin air, where studio execs managed to convince an entire nation that, at any moment, a hometown gal could be plucked from a drugstore and made into a star. That era is long, long gone—but hey, your cat can still make it big! Don't go west, young man. Get yourself on Reddit! Or at least, that's what this Guardian report from SXSW suggests. 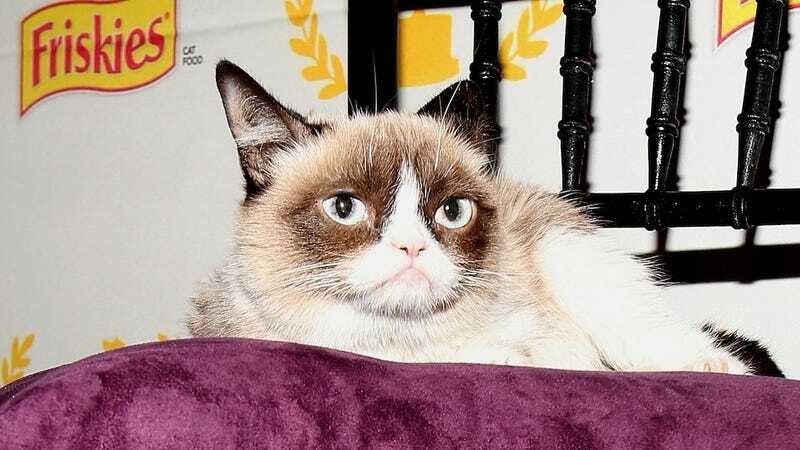 The best illustration of the trend is likely Grumpy Cat, the Shirley Temple of her time. Her cranky mug graces bottled beverages, she's got a sweet endorsement deal with Friskies and her book appeared on the bestseller lists. With a monetised account "you might get a dollar or two dollars per thousand views, but if you have a YouTube partner account you can easily double that, and get up to six maybe," said Braden, before showing analytics suggesting that because Henri attracts a disproportionately female audience compared to general YouTube viewership, the channel is more valuable. Henri goes all the way up to $10 on a CPM. This is really high. It doesn't mean I'm rich, but compared to a lot of things on YouTube, this is a very select and very specific audience," he said, while warning that success has been a matter of trial and error. Another panelist, the director of social media for Animal Planet, mused: "Will there be a cat video channel someday? I can definitely see that happening....It's just going to keep moving." Better hustle if you want to get in on the ground floor. Or, you could just enjoy your cat's company. Haven't these people ever seen A Star is Born?